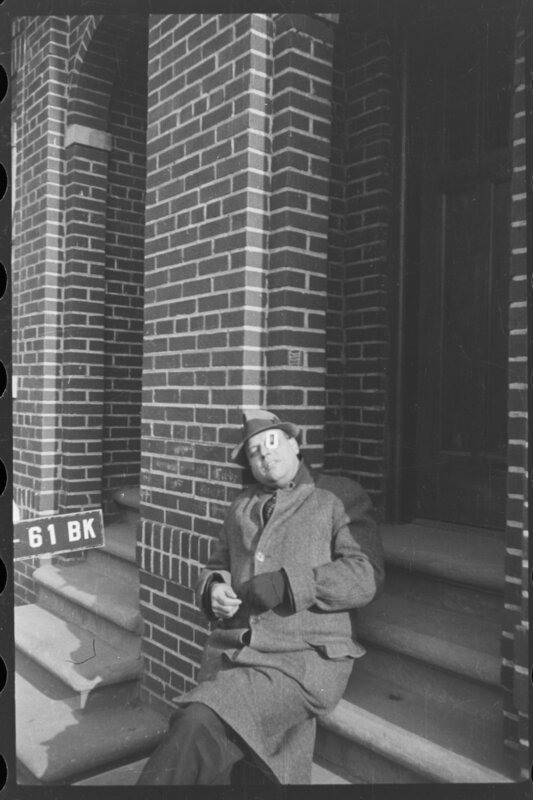 Defaced outtake negative from the 1940s Tax Photos. Despite appearing throughout the collection, the names of the men on the tax photo project remain a mystery. 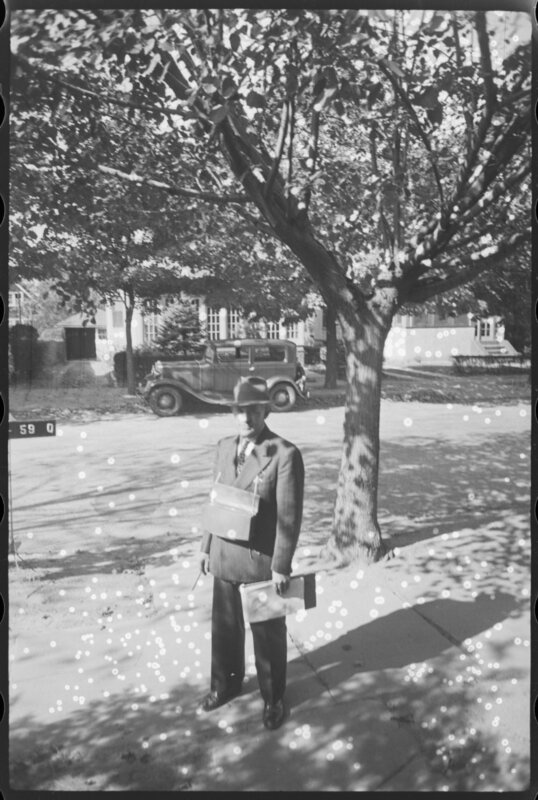 The first job I had at the Municipal Archives was as a photographer, which basically meant I spent eight hours a day in the darkroom printing 1940s tax photos. Day after day looking at thousands of tax photos a year, I started to wonder about the photographers who took the pictures and the men who often appear in them. Just who were they? It is one of the research questions that has stymied us over the years. 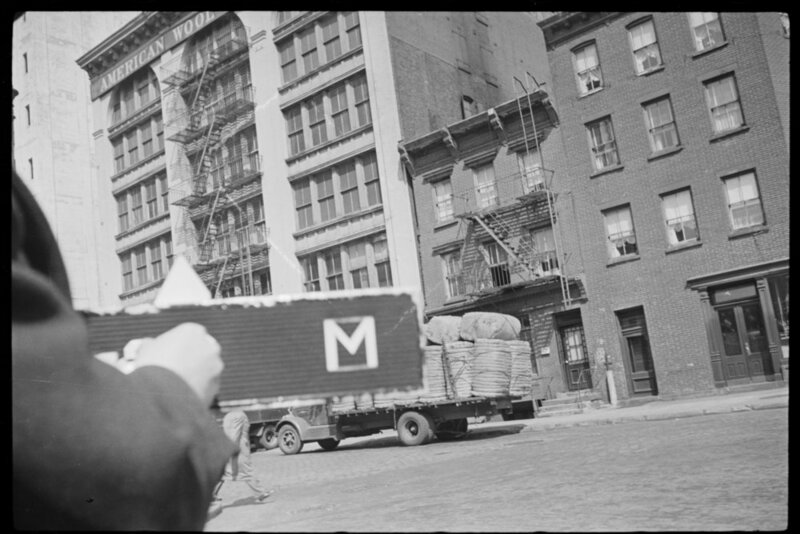 However, by the nature of their method, which involved a metal sign with interchangeable numbers and letters to designate the borough, block and lot (the BBL), the assistant often had to hold the sign to steady it and, therefore, appears as an incidental subject in the photographs. Were these men also photographers? We were never sure. They appeared to work in pairs, one shooting and the other changing the sign and recording the roll number for each BBL in a ledger book. 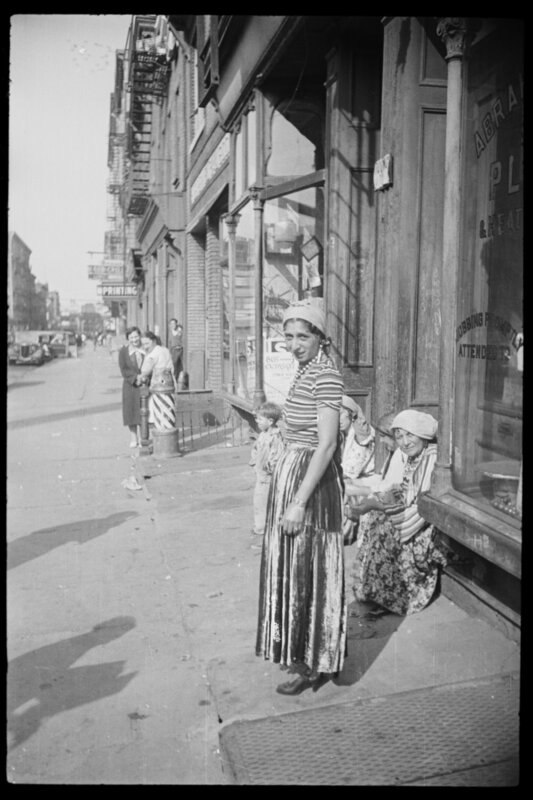 Unidentified clerk in Brooklyn with a BBL sign, 1940s Tax Photo outtake. The clerks of the Tax Photo project most frequently appear in the photographs, but sometimes the photographers do too. A horse-drawn delivery wagon in the Bronx, ca. 1940. 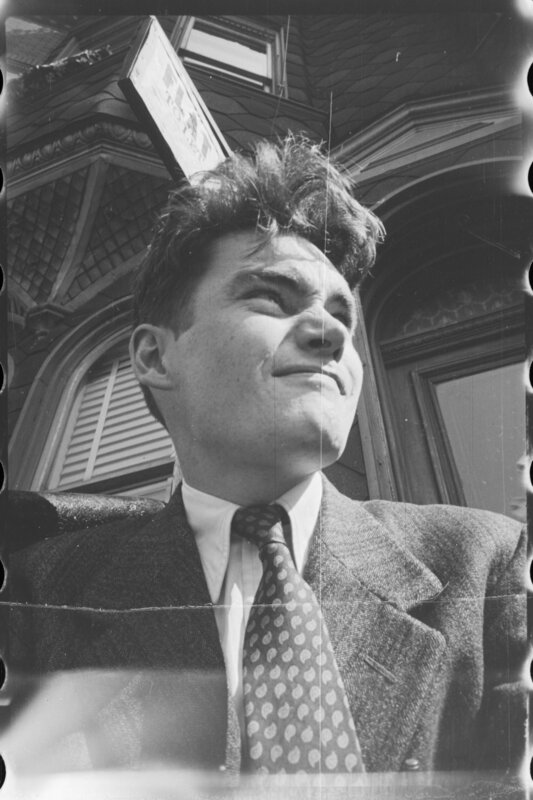 By October 16th, 1939 the Assessor in Charge, John F. St. George, reported: “During this month [September] the photographic phase was begun with a small group of photographers and film processors. 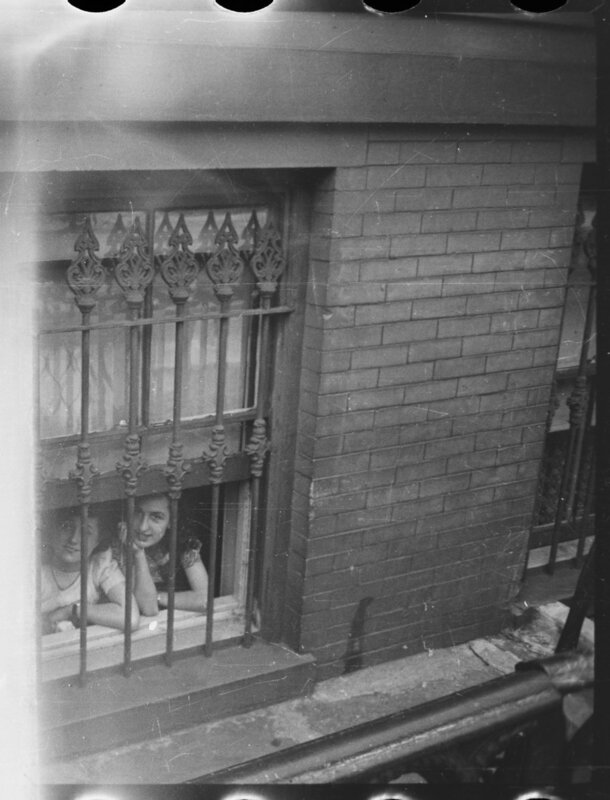 About 1200 buildings have been photographed and prints made.” So we know that the photography did not begin until September 1939, and that was only in Manhattan; work in the other boroughs would start “in the near future.” In November he was able to report that “10 photographers were working in the field and four in the laboratory. 6200 exposures have been made and 3100 enlargements are completed. 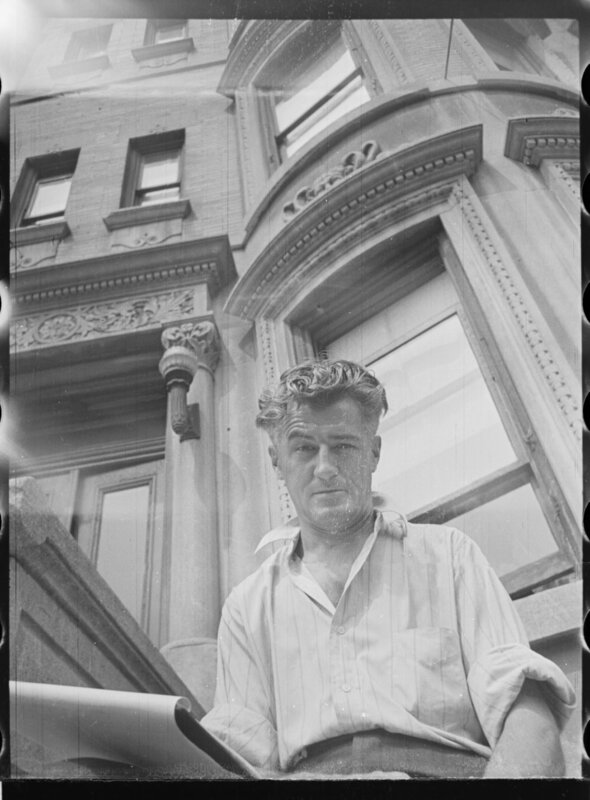 These pictures are being placed on the property cards.” By December 5th, he reported that work was underway in Brooklyn as well as Manhattan and that there were 22 photographers in the field and 9 in the laboratory. 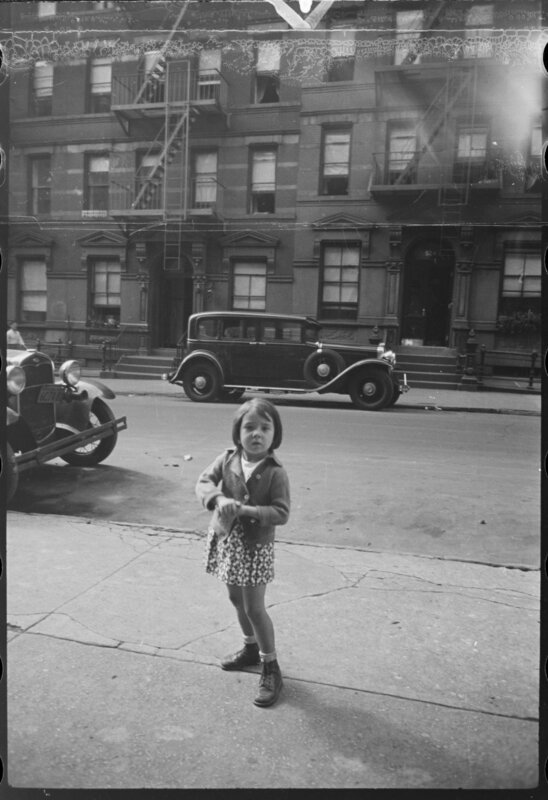 By May they reported that photographic work was underway in the Bronx and Staten Island, and Manhattan was almost completed. 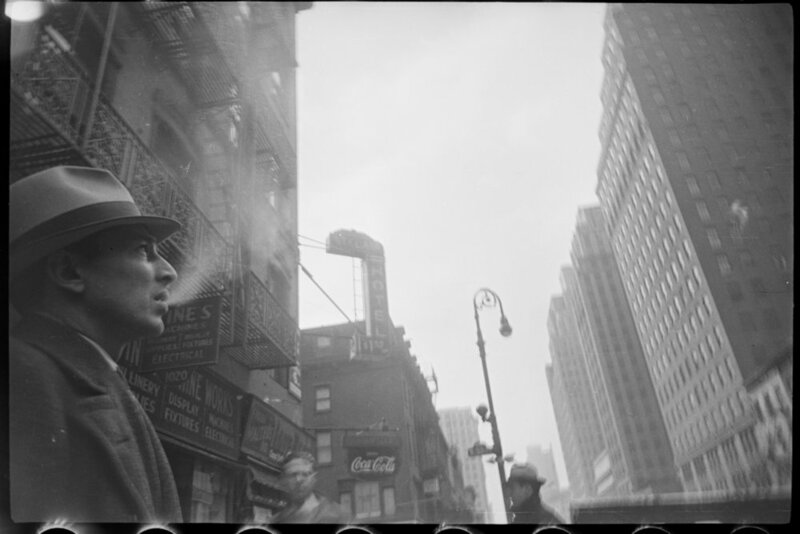 By July 1940 Manhattan photography was completed except for reshoots. The semi-annual progress report for July to December 1940 states that 108 people were working on the photographic phase as of December (most of these would have been working in the office) and that “Identifying and Photographing Buildings in the Field” was “performed by photographers assisted by clerks.” These clerks then are the ones most often appearing in the photographs holding the sign, or in the outtakes filling out ledgers or relaxing. When loading a roll of 35mm film, it is customary to shoot 1 or 2 frames to advance the film exposed during the loading process. These junk frames might have fogging from the loading process and are often just random angles. 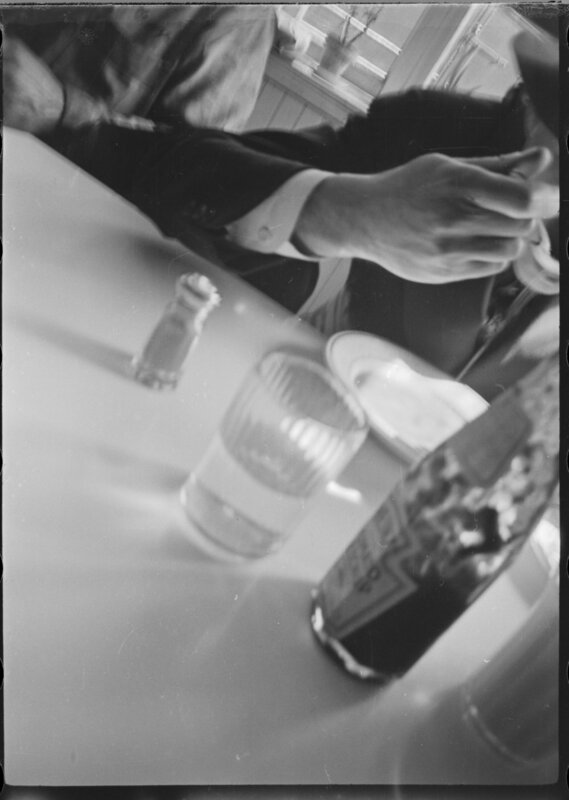 However, the outtakes in the Tax collection have always intrigued us because they often showed bits of the tax photographers’ daily routine, the clerks and sometimes photographers themselves. 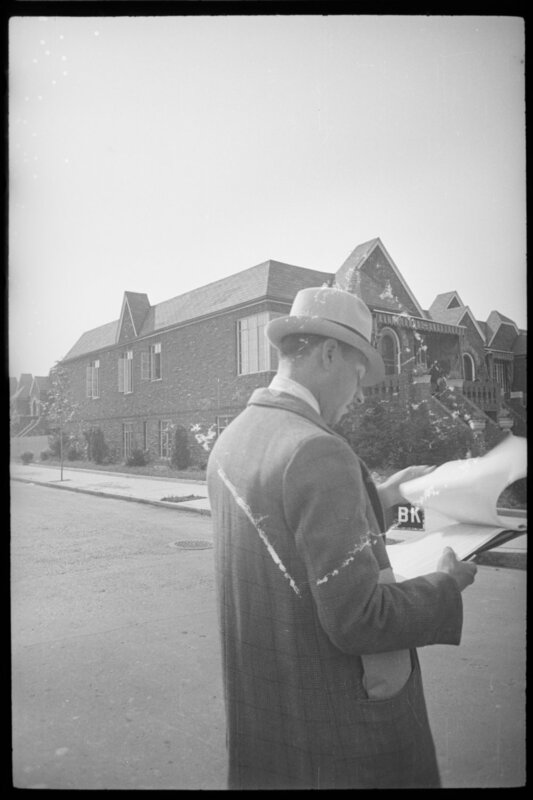 In shots both deliberate and intentional there are photos of the teams at work (filling out the shot ledger books, carrying or changing the metal sign that showed the block and lot numbers) and taking breaks, smoking a cigarette, eating at a diner (or a bar). One clerk carries the numbers in a box strapped around his neck, one goofs around by placing a 0 over his eye, one man is fond of bow ties, and there is at least one African-American clerk. One young photographer was prone to taking selfies as he loaded the camera. 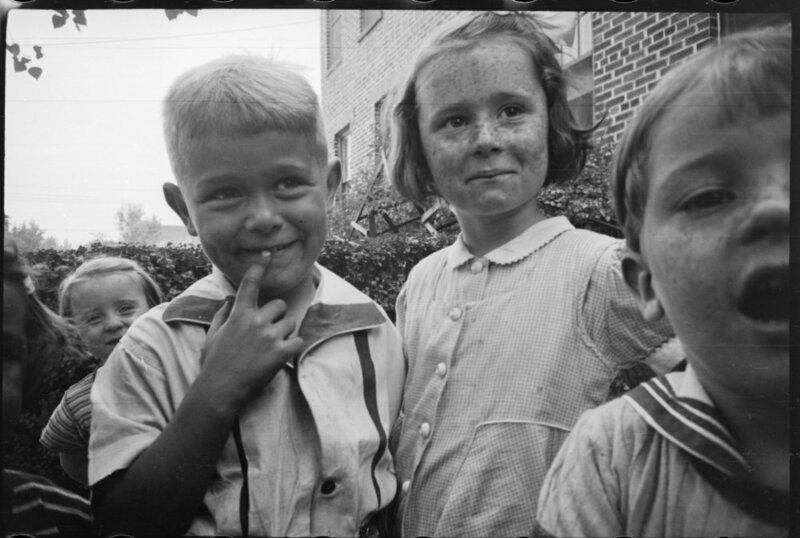 He also seems to be the same photographer who took portraits of curious kids on the street. 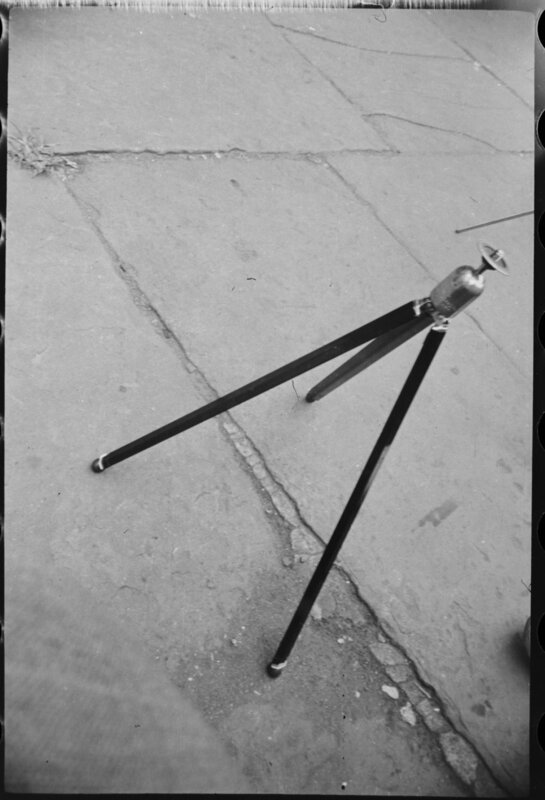 He may be responsible for the most artistic of the outtakes, but we have no idea who he was or if he went on to a longer career in photography. 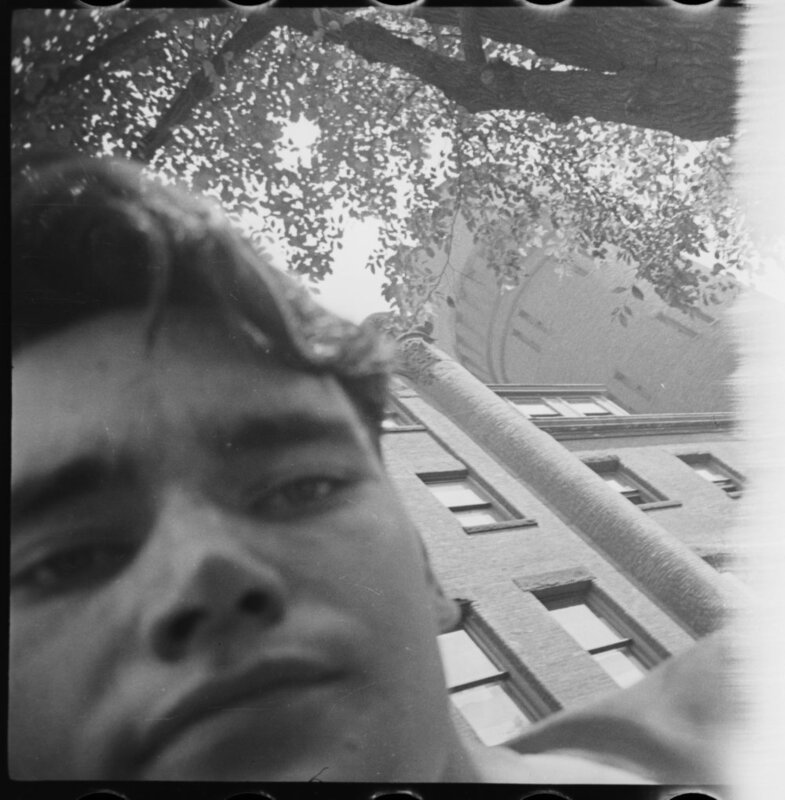 The unidentified young photographer above frequently took “selfies” as he loaded the camera. 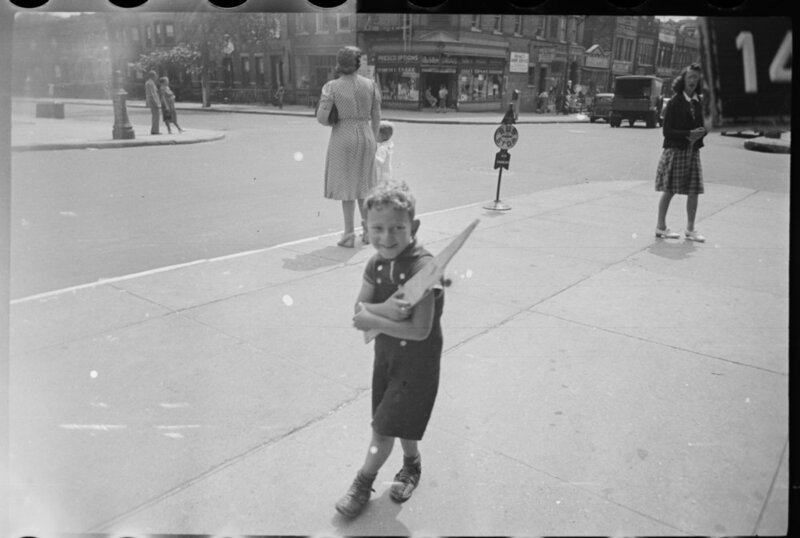 This photo in front of the 23rd Regiment Armory on Pacific Street and Bedford Avenue in Crown Heights, Brooklyn must have been taken by the young photographer above. The frame just prior is a selfie that shows a corner of the armory. 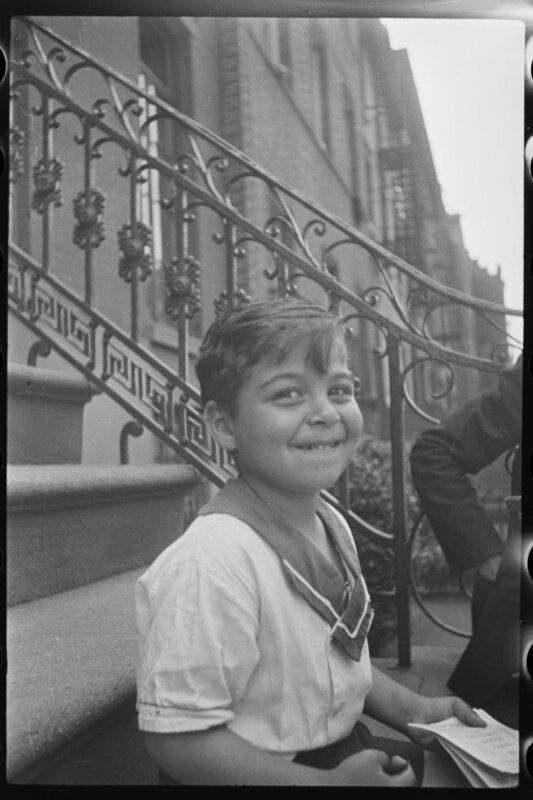 Given the all-male working environment, some might expect the occasional shot of a pretty woman walking by in a summer dress, but no, the outtakes are surprisingly sweet: photos of curious children, kittens, and a clerk feeding a squirrel in Central Park. One photographer even finished off a roll of Staten Island film with photos of his family’s outing to the Bronx Zoo. Very rarely there is a shot of something else that caught their eye, a sign, a horse, a parade, a car accident. 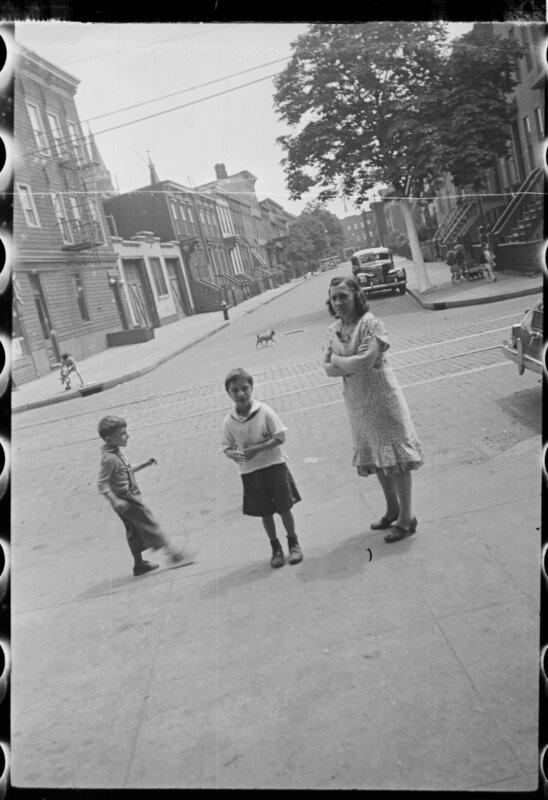 And just once that we have found, the photographic team standing on a street corner in Brooklyn and posing for a group portrait. 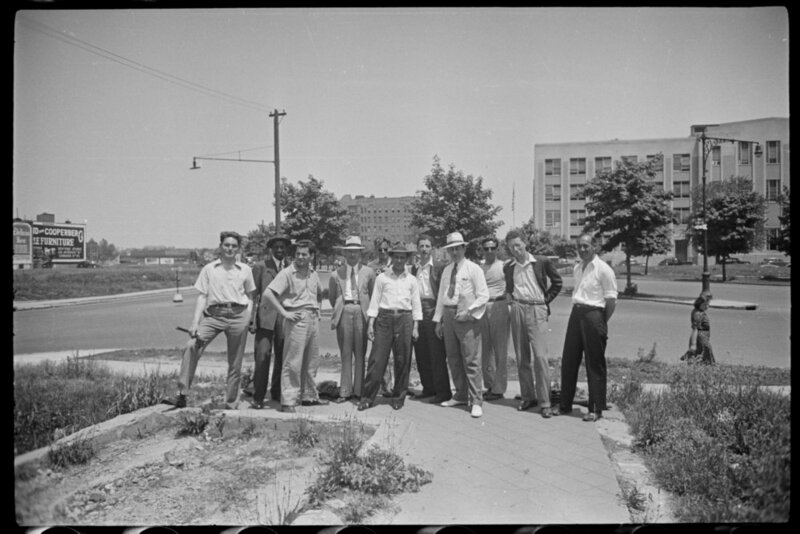 Two frames showing 11 men on a sunny day, two of them holding their cameras, familiar faces. A group portrait of the photographers and clerks in Brooklyn, ca. 1940. 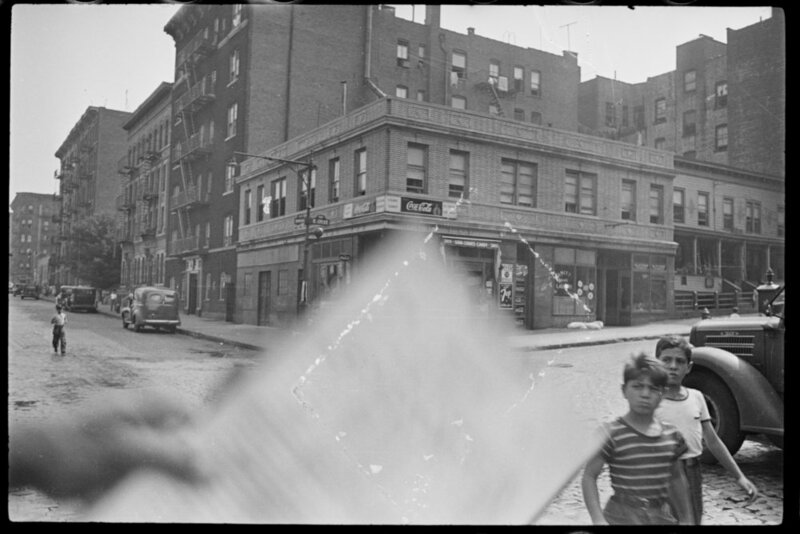 An accident scene in the Bronx captured by an anonymous Tax Photo photographer, ca. 1940. 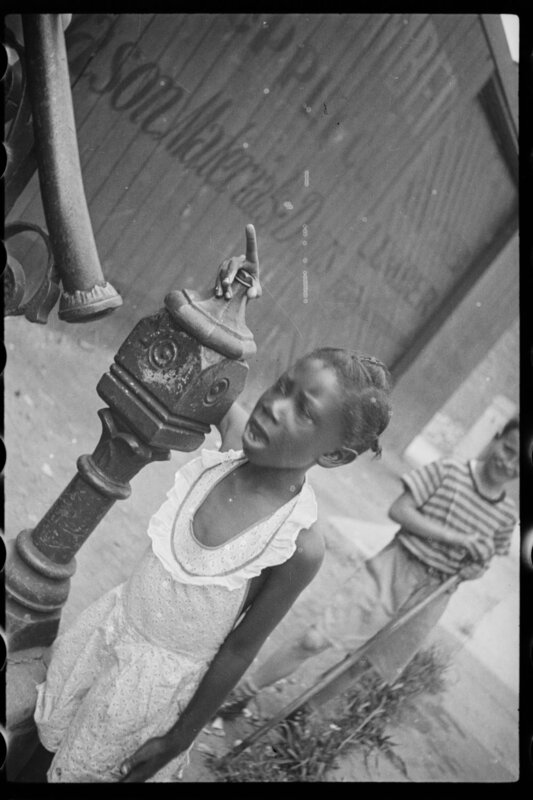 A day out at the Bronx Zoo with his family was recorded by one Tax Photo photographer. Whether any of these photographers were part of the original project we do not know. Someone out there must know more about these men, a family story, a recognizable face, but as of yet, no one has come forward. We are waiting…. A Tax Department clerk feeding a squirrel in Central Park, ca. 1940. 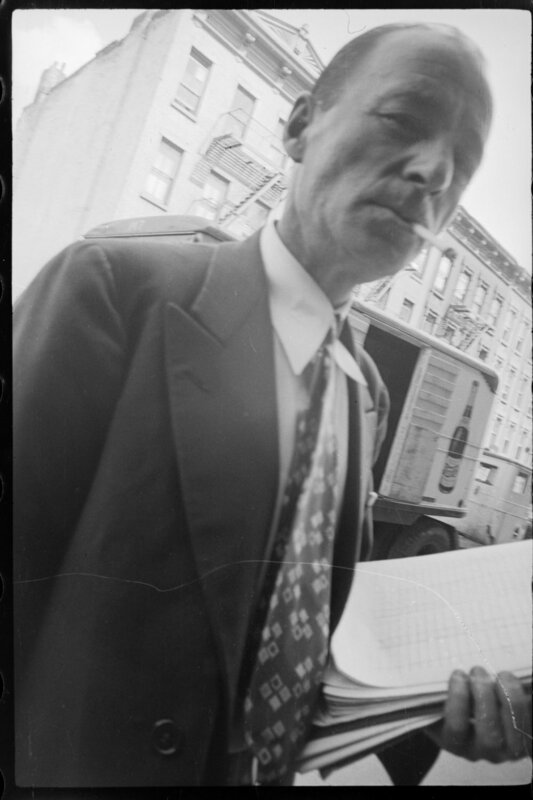 All photographs from the 1940s Tax Department Collection, NYC Municipal Archives. 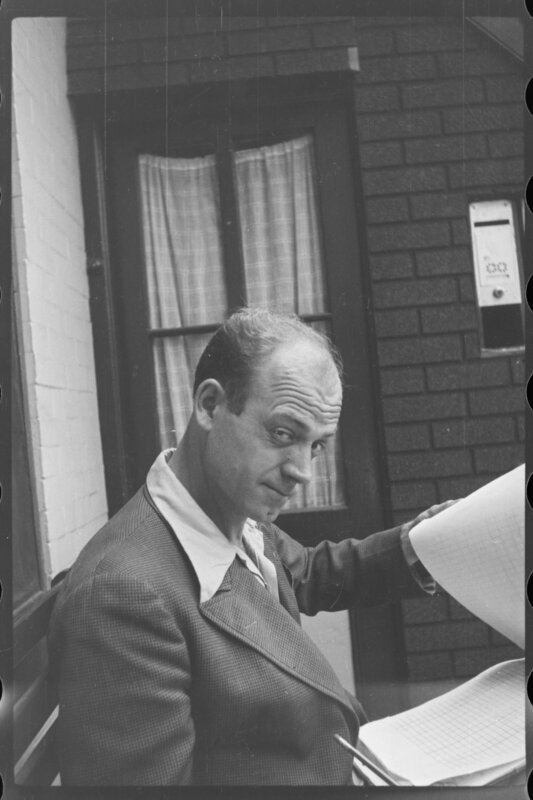 Browse more outtakes and unidentified photos from the 1940s Tax Photo collection online. 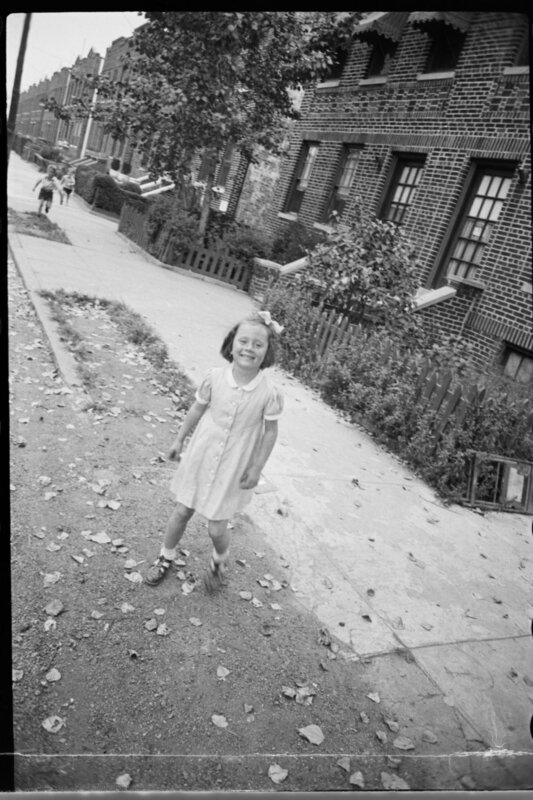 On November 1, 2018, the Municipal Archives announced that the long-awaited project to digitize the 1940 ‘tax’ photograph collection was complete and all of the 720,000 images now are online in the agency’s photo gallery. It required more than thirty years, many thousands of dollars and hours of labor, plus two cross-country trips. 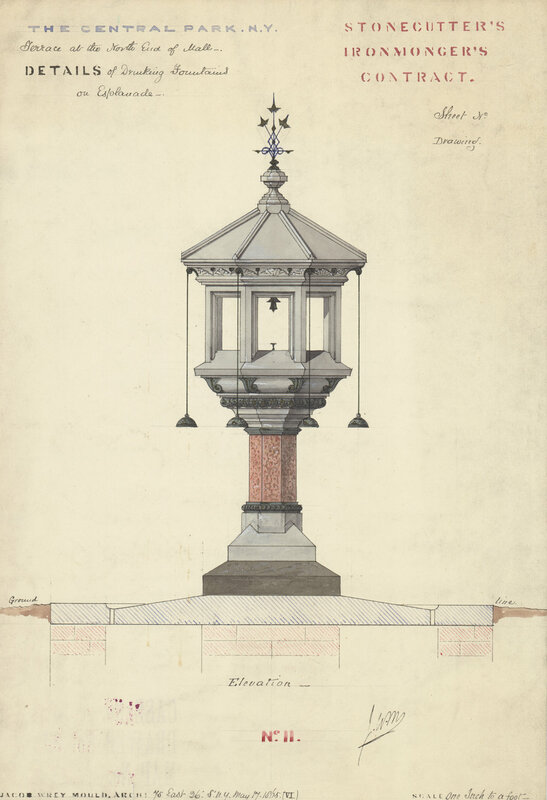 But we think it’s fair to say that the tax photographs have now reached their full potential as one of the most important research resources in the Municipal Archives.